A while back I sought a way to determine how a gospel text, or a recently unearthed manuscript, could be said to contain the actual words of Jesus Christ. So I set out to diagram the geometric structure of various gospel texts, including the Beatitudes. My aim, of course, was to identify the Savior’s literary fingerprint. I do not claim to have found it. Even so, during my quest I gained ever more appreciation for the Beatitudes, and the sheer brilliance of Jesus of Nazareth. A significant number of Christ’s sermons and parables contain geometric word structures called chiasmus. ‌Chiastic structure makes a text easy to remember and pass on to others. It also provides a redundancy that preserves the meaning of important texts across centuries of translation. But I learned more than that. 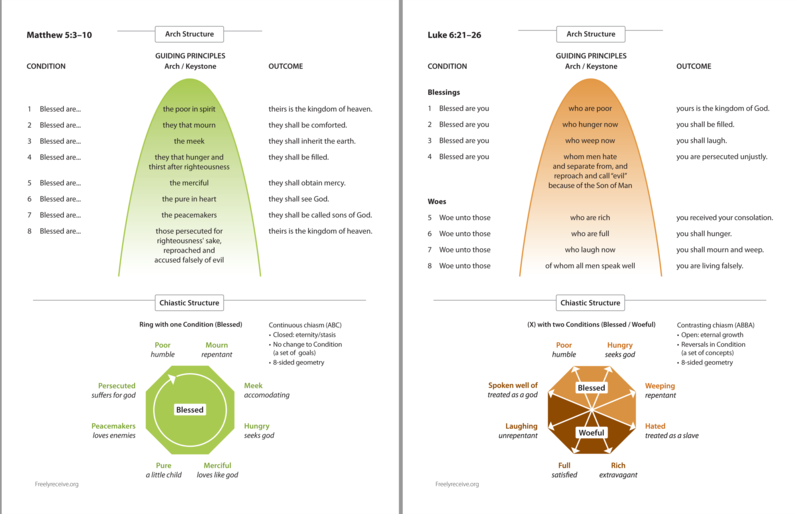 The chiastic structure within Luke’s and Matthew’s texts is very different. What additional truths might be gleaned from this fact? Beatitudes meaning and structure depicts eternity. Each version of the Beatitudes presents a different view of eternity. Mathew’s text, for example, depicts stasis: it is a state of unchanging blessedness. To the contrary, Luke’s text presents a road map to the kingdom that is flexible and subject to change. 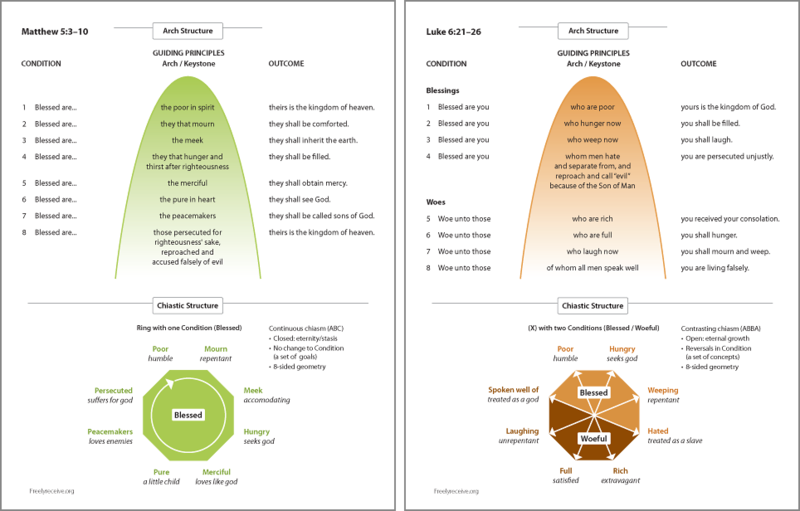 When both versions are compared, these texts provide a clearer picture of the goal and Yeshua’s advice on how to reach it. (B) whoever humbles himself (A) will be exalted. The continuous ring structure in Matthew suggests a perfect state of blessedness. 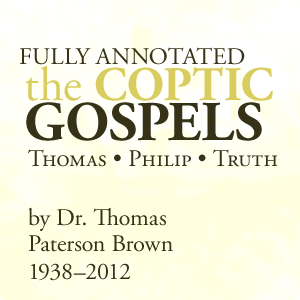 The text contains a set of target concepts to help us attain the state necessary to enter the eternal kingdom of God. But for how long can one maintain perfection? What happens if, and when, the outcome of the struggle leaves us rich in spirit, no longer hungry, or mourning? Is that one still “blessed”? Beatitudes meaning and structure in Luke addresses this question. Over time, we invariably grow “Full.” People praise our goodness. Kingdom seekers must transcend this obstacle and continually work to remain “Hungry.” Thus, with both blessed and woeful conditions, Luke’s contrasting “X” chiasm seems to depict a practicable eternity in which the seeker strives to overcome his or her faults through recurring, albeit ever-ascending states of being. So which gospel text is the real deal? Which Beatitudes did the the Son of God speak? Probably not the proper question. But these texts hold yet another difference. Jesus Christ rarely delivers a sermon with just one level of meaning. A single sentence from the Messiah gives rise to pages of commentary. Indeed, Matthew’s view is serene and perfect. His text presents a very compelling image, whereas Luke accounts for the ongoing human spiritual growth process. After one gains a new truth, goal, or understanding, the same lesson will present again at a higher level. Thus Luke’s text feels more workable to me. Beatitudes meaning and structure in Sheep and Goats. Parable of the Sheep and Goats is a contrasting ‘X’ chiasm identical to Luke’s Sermon on the Plain. Here we find both woeful and blessed conditions. 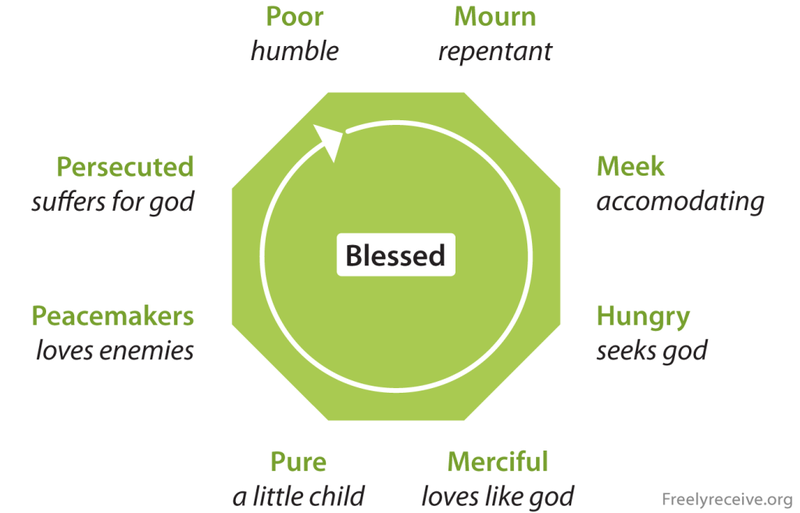 Matthew’s use of both types of chiastic structure could suggest that Christ delivered two versions of the Beatitudes. The currently accepted idea is that the gospel authors tailored Beatitudes meaning and structure to suit their audience. 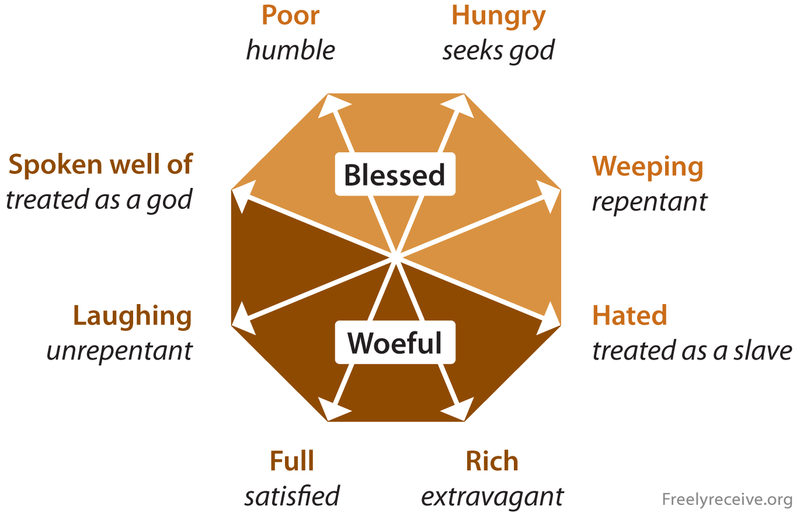 Although Sheep and Goats shows six conditions as opposed to the Beatitudes’ eight, it seems plausible this well known parable is a restatement of Christ’s concepts by Matthew himself. Dudley, Underwood (1997). Numerology: Or What Pythagoras Wrought, MAA Spectrum, Cambridge University Press, p. 105, ISBN 9780883855249. Previous PostYou Have Five Trees in Paradise (Thomas 19)Next PostIf Christ had Lived Would You Still Believe? I have been trying to create something similar to this. But here are the very thing I need, which are so amazing and ready-made. Ask and it will be given; knock and the door will be open for you. My gratitude!